We take your privacy seriously. View more. The way UK businesses function and their employees work is becoming increasingly flexible. Fixed, long-term office space is no longer a necessity – with firms now able to have much more control over renting commercial premises – and people have more freedom than ever before in where and when they work. There are many benefits to be gained from embracing flexibility – not only from a cost perspective but in terms of employee engagement and motivation, too. A 2017 report from conference calling service Powwownow revealed that 67 per cent of employees wish they were offered flexible working and 58 per cent believe working outside the office would improve their motivation. However, these benefits can only be realised if individual members of the workforce are able to maintain their productivity while working remotely. 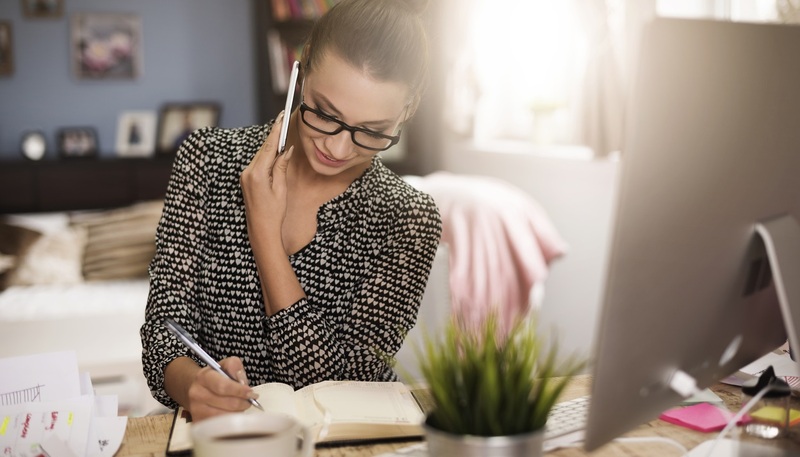 With that in mind, here are a few strategies that could help you and your employees get the most out of working from home. For many people, one of the main benefits of spending a day working at home could be extra time in bed, seeing as you’re saving time on commuting. However, this can lead to feelings of demotivation that are hard to shake off. However hard it might seem, it’s much more beneficial to get out of bed at the same time you usually would, have a shower and get dressed, ready to start the working day. Staying in your pyjamas and attempting to work on your laptop without getting out of bed are never advisable. Distractions are a major peril of working from home. Whether it’s having the television on in the background, listening to the radio or trying to make time for some quick domestic chores, there are many things that could draw your attention away from work. It’s vital, therefore, to minimise the risk of distraction by setting up a designated working area, where you won’t be disturbed by noise or anything else. As important as it is to concentrate on your professional responsibilities, it’s also worth remembering that locking yourself away and working too hard can have its disadvantages, such as burnout and loss of mental perspective. Give yourself some allocated blocks of time during the day when you can get out of the house and clear your head, even if it’s just for a ten-minute walk or a cup of tea in the garden. It can be easy to feel isolated when working from home, so it’s important to make a special effort to keep communication lines open and regularly engage with colleagues. Technologies such as videoconferencing and instant messaging are easier to access than ever before, so make the most of them. Food and drink are the fuel that keep your mind and body functioning efficiently, allowing you to work with maximum productivity. When working from home, make sure you stick to a set routine of eating and drinking at certain times, and take care to avoid the contrasting pitfalls of skipping meals to get more work done and indulging in whatever unhealthy snacks might be lurking in the cupboard.